It sends out reassuring signals on growth and fiscal consolidation. The finance minister’s speech mentioned the progress made in certified skills, where the CII too has played a part. In an election year, where the regular budget is to be presented by a new government, the Vote on Account was not expected to come out with major policy announcements. That said, however, industry is pleased that the finance minister took note of the urgent need to counter slowdown in growth, investments and manufacturing and came out with strong steps in the interim budget. For industry, the two issues of concern were revival of growth, particularly manufacturing, and fiscal consolidation. The interim budget delivers on both fronts. The macroeconomic situation of growth deceleration, coupled with a spike in the fiscal deficit and the current account deficit (CAD), has been of concern. The data presented in the interim budget was reassuring. The GDP is expected to register growth of 5.2 per cent during the second half of the year, which means deceleration has bottomed out and the economy is now on an upward trajectory. Most of all, the strict adherence to the fiscal deficit for 2013-14, at 4.6 per cent, highlights the fact that the government is serious about fiscal rectitude and has taken strong measures to prevent the fiscal gap from spiralling out of control. This was a challenging task, observed closely by stakeholders across the board, especially in terms of impact on Plan expenditure. 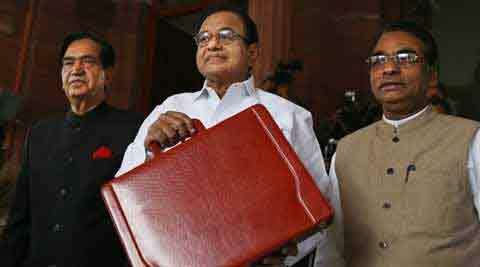 It is remarkable that the compression in the fiscal deficit has been achieved without pressure on urgent Plan outlays. The FM also reiterated the commitment to bringing down the fiscal deficit further to 4.1 per cent next year, and reducing the revenue deficit to 3 per cent. This would set an excellent benchmark for the next government. The containment of the CAD at $45 billion too is an achievement, given the vulnerabilities of the global economy. It is commendable that exports will cross the target at $326 billion for FY 2014. The management of the exchange rate during the US taper has been prudent and volatility has been avoided. On the industry side, recent data has pointed to an entrenched slowdown, with manufacturing contracting during the first nine months of the year. The Vote on Account does well to recognise this could not wait until the presentation of the regular budget. The unexpected slashing of excise duty for capital goods from 12 to 10 per cent is a great relief. More important was the deep cut in excise duties for the auto sector with respect to small cars, SUVs and large cars across the board. This will greatly incentivise the demand for passenger cars and help kickstart a new cycle of growth for upstream and downstream sectors. Apart from this, the budget also mentioned progress on the National Investment and Manufacturing Zones (NIMZs). Three more economic corridors are underway, which should help boost the manufacturing sector and exports. We were also happy to note the stress on skill development. The finance minister’s speech mentioned the progress made in certified skills, where the CII too has played a part. The target is to skill 500 million people by 2022, and the additional allocation under this head will prove a boost. However, we would have liked skill development to be linked with the MGNREGA to achieve the challenging target. The 10-point agenda for the future indicates the areas the next government would need to address urgently. Fiscal consolidation would have to remain at the top in order to make available investible resources to industry and to contain inflation. The commitment to attracting foreign funds was welcome, as India needs to evolve into a destination for overseas investors. The stress on infrastructure, with private-sector participation, as also the rationalisation of import duties to promote manufacturing, are prudent intentions. There is no alternative to strengthening the manufacturing sector to create the millions of jobs that will be required by India’s growing working-age population. In this regard, urbanisation and skill development are rightly mentioned as two major challenges. The government would need to develop long-term strategic plans to leverage the opportunities arising out of these areas, particularly in creating smart new cities along the proposed NIMZs. A noteworthy point was the intent to expand Aadhaar as a platform for delivery of direct transfers. We hope the next government will increasingly shift to Aadhaar to target subsidies better, reduce wastage and lower subsidy outlay. Industry could not have expected more from an interim budget. The Vote on Account sets a solid foundation for the next government’s finances.